The above command seems to resolve the problem. 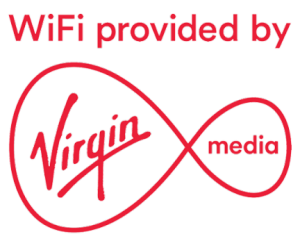 You can still login to the Virgin Media shared Wifi if you cannot install the App on your device. Note you must have a Virgin Media account/contract to use this service. Use YUM command to install xrdp. # Disable "InsecureRequestWarning: Unverified HTTPS request is being made." Press SHIFT on boot to get into the GRUB menu. Select the option to edit the commands (c?). Move the cursor down until you see the line starting ‘linux’ and append the text to below to that line. Press CTRL+x to boot the system. By default the /root filesystem is mounted Read Only to protect against corruption. In order to edit files you need to mount it RW first. The procedure below contains all the steps to remount as RW, edit your LED settings and then remount as RO once again. Using the original install CD I used the ‘Rescue’ option to boot my installed version. I then used chroot /mnt/sysimage to get to the installed files. After this everything should boot fine – however, make sure you update the CDROM device to remove the .iso file – if not, the VM will constantly boot into the setup CD! If you have issues with deleting the entry to the .iso image, just create a zero length file, call it ’empty.iso’ and point the device to that. Within that folder you will find a number of subfolders as shown below, actual names will be different but will follow a similar format. These folders contain the actual track data. If you backup the folder as detailed above you will include all of these folders with their data. The Raspbian Jessie Lite image is shipped as default with ssh disabled. This is a bit of a pain if you plan to use your Raspberry Pi headless straight out of the box. Fortunately it is easy to get round this and enable ssh on the SD Card as you create the image. Just create an empty file called ssh and copy it to the boot partition of the flash card.